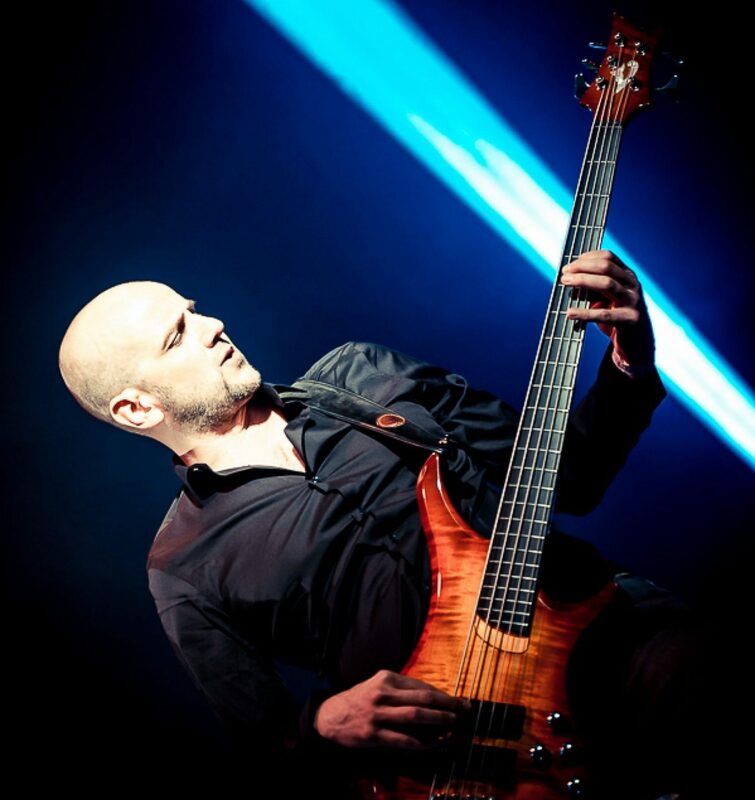 Born in France in 1970, Ivan started bass when he was 16. He was very influenced by the English pop and Soul / funk of the Seventies, but also by jazz rock and fusion. The main project he works with is Mörglbl (Prog / Jazz / Métal) with Christophe Godin (Guitar) and Aurèlien Ouzoulias (Drummer), the band has existed since 1997, the sixth album (Tea Time For Pünks / Lasers Edge Group) spring 2016 and the band celebrates its 20th anniversary in 2017, for this occasion there will be a new album, an international tour and a live DVD. He realized a solo project « Nervous Breakdown » (May 2014). Currently, he also works with Stacey King (Pop Singer / France), Charlie Morris Band (Blues / USA) and Ananda Gospel (Gospel / France) Docto’s Groove Cabinet (Funk New Orleans). Spencer Bohren (Blues / USA) Christophe Godin (for the « Metal Kartoon » project), Jeremy Tordjman (Afro / Funk Jazz), Kara (Senegalese), Jean Fontanille (Guitarist / Metal Instrumental), Psyko(Pop Rock), Cheb Bilal (Rai) in Europe and North Africa, collaborated with Cyril Achard (guitar) and Mike Terrana for the project « Taboo Voodoo » (Prog-Metal) … etc. Bass teacher at the ETM school in Geneva, he is also solicited for many Master Class and other clinics specially for and with his sponsors: VIGIER Guitars, LANEY Amps, SAVAREZ, T-REX & ZOOM effects.